Vancouver, British Columbia, is defined by its natural surrounds — towering mountain peaks, emerald-green spaces dotting the landscape and gleaming waters practically touching the edges of skyscrapers. It’s no wonder it is consistently voted one of the world’s most liveable cities with a compact and walkable downtown core. A playground for nature-lovers, the outdoors are equally appealing to Vancouverites and visitors who take in fresh air and adventure in one stunningly beautiful locale. 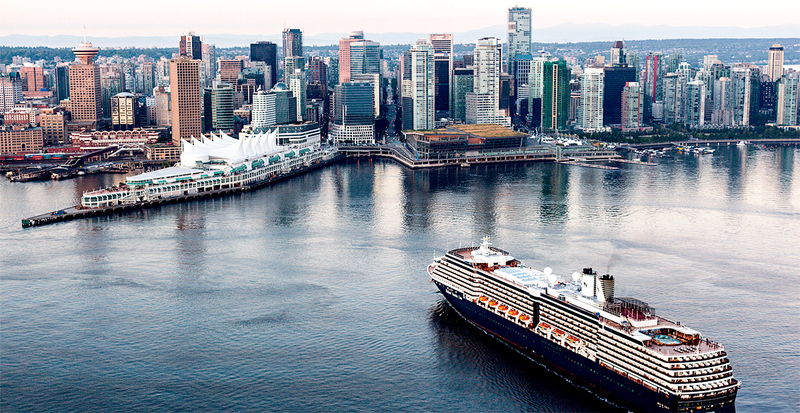 Discover all that Vancouver has to offer, then call us to design your perfect stay in this evergreen Canadian city. 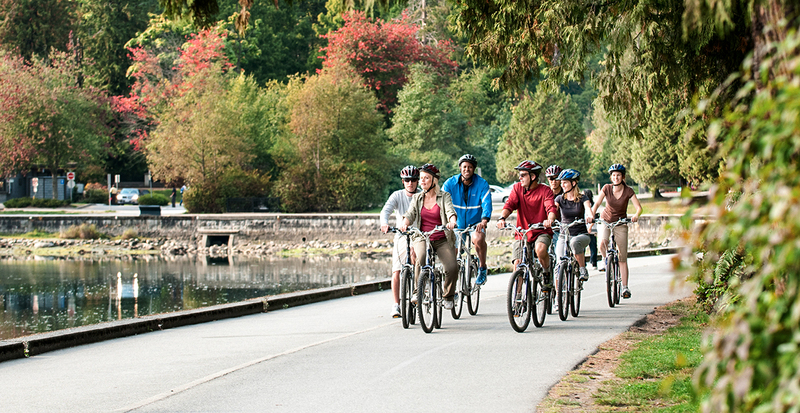 Cycle along the seawall of Stanley Park, gliding past sparkling waters on one side and towering evergreen trees on the other. Vancouver’s greenest space is over 1,000 acres, nearly surrounded by the waters of Vancouver Harbour and English Bay. You can easily spend a leisurely day wandering along trails, lakes, beaches, through gardens awash in spring colors, and exploring the Vancouver Aquarium. Vancouver is naturally sculpted by the waters of False Creek, which separates downtown from the rest of the city. 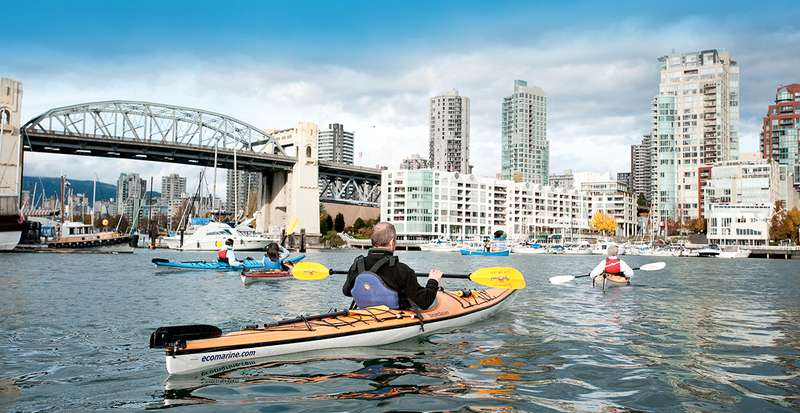 This calm inlet creates the perfect setting for an afternoon paddle from Granville Island. Set out in a kayak or atop a stand-up paddleboard, slicing through glimmering reflections of the transparent glass buildings that edge the water. 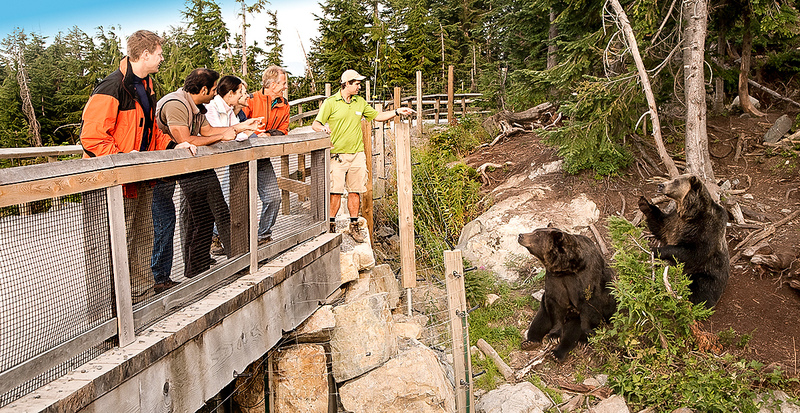 Just a few miles from downtown, Capilano Suspension Bridge Park offers a world of exhilarating adventures. 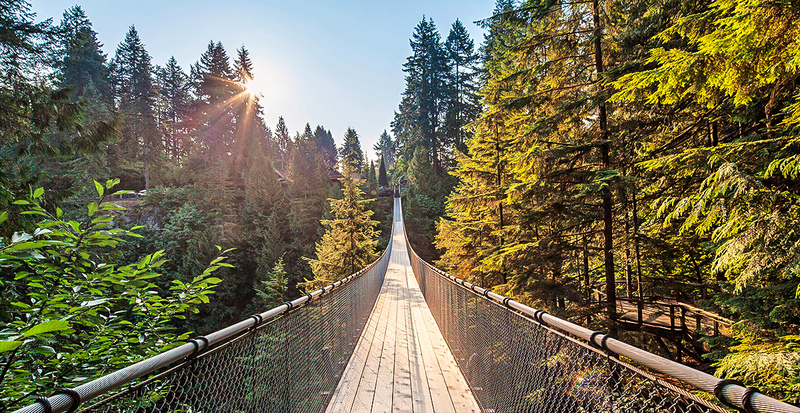 Ascend the suspension bridge that hangs 230 feet above the Capilano River and stroll high above a temperate rainforest along seven suspension bridges connected by towering Douglas firs, cedars and hemlock trees. Your alpine experience begins with a ride to Grouse Mountain on Skyride, a protected glass pod that will have you gasping at 360-degree views of Vancouver. Should you crave even more VIP moments, let us arrange early morning access to meet the resident grizzlies, Grinder and Coola, and gain insider details of wildlife conservation efforts with a ranger before sitting down for breakfast next to the bears’ habitat. Set sail on a cruise of a lifetime. 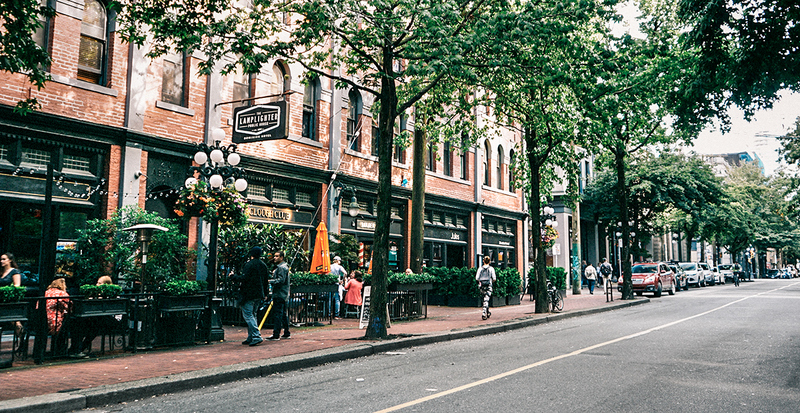 Explore some of Vancouver’s vibrant neighborhoods from Coal Harbour on the waterfront, to historic areas like Gastown and Chinatown, through to hip enclaves such as Yaletown and Kitsilano — you will discover a wide range of urban vibes, cultures and ways of life. Then take in Alaska’s most extraordinary wilderness surrounds aboard Holland America Line. Contact us to create your own Vancouver getaway and experience the best this dynamic city has to offer.